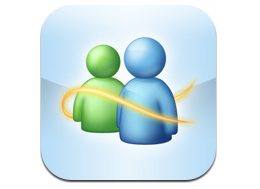 Microsoft’s Windows Live Messenger for the iPhone is now available on the iTunes App Store. Windows Live Messenger is Microsoft’s fourth (free) application for the iOS platform and was first shown at The Next Web conference earlier this year. The chat feature allows you to interact with both Windows Live and Y! Messenger contacts. As shown in the demo the photos you share will be uplaoded to Skydrive. Read next: What's the Celebrity Effect in Geolocation Apps?